Voatz, a startup based in Boston, MA, promises to dispel some of the biggest challenges associated with voting: access, security, transparency and efficiency. The company plans to achieve this goal by combining internet-based voting with blockchain technology. Voatz enables voters to make their voices heard conveniently by allowing mobile voting via any smartphone or tablet connected to the internet. The platform integrates blockchain technology and cutting-edge security to maintain the integrity of the electoral process. “Voatz tackles two of the core challenges in voting –– low participation in local elections and the need for better citizen engagement. Its mobile-first solution is poised to be a category leader, democratizing voting across government, corporate, academic, and union elections,” explained Julie Lein, managing partner of the Urban Innovation Fund. 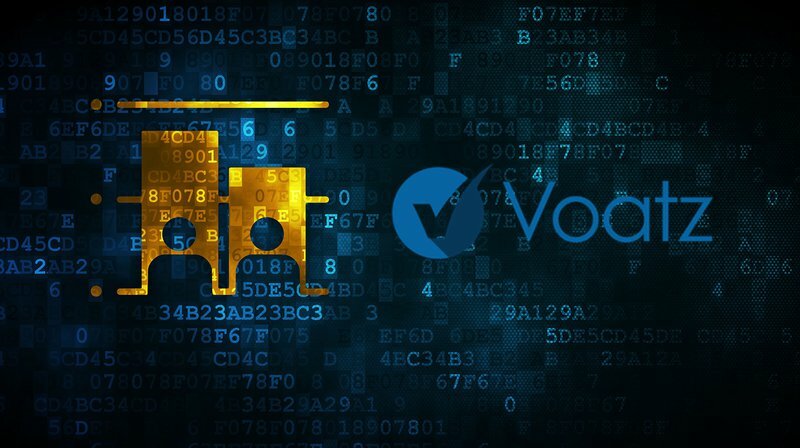 Unlike current voting systems, Voatz can ensure tamper-proof record keeping, identity verification and proper auditing by incorporating a secure, immutable blockchain. Therefore, citizens on the Voatz platform will have virtual certainty of the accuracy of their internet-based voting results. Alongside concerns over voter fraud and security, conversations around voter accessibility are focusing attention on underrepresented citizens who often lack proper forms of voter ID, such as the poor or the elderly, and those who live in remote areas with limited access to proper infrastructure services. Voatz co-founder and CEO Nimit Sawhney told Bitcoin Magazine that Voatz is working to connect disenfranchised citizens so that the platform plans to remain accessible to all, regardless of geography or socioeconomic status. Sawhney noted that Voatz has started testing its secured tablet ballot stations in hospitals and elder-care centers. He explained that the Voatz platform also removes friction in the registration process, especially in states where “motor voter” (the National Voter Registration Act) is available. Sawhney explained that the Voatz platform is designed to make it easier for disenfranchised voters to participate. The platform is flexible and meant to simplify current barriers to voting. In the case of public elections, Sawhney notes that traditional voting methods will remain available as well, and that Voatz is just another, more convenient option. Voatz technology has been incorporated in pilot programs by more than 70,000 voters in elections and voting-related events in multiple jurisdictions. State political parties, leading universities, labor unions and nonprofits have successfully used the Voatz platform. Voatz is also in the process of deploying its technology for town-meeting voting in Massachusetts. The Voatz team recently completed the 2017 Techstars and MassChallenge startup accelerator programs in Boston. For their cutting-edge system, the team has been awarded the 2017 Harvard SECON Prize, the 2017 MassChallenge Gold Award and the 2016 MIT Startup Spotlight Favorite Prize. The Voatz platform is currently invite-only and will be accessible to a wider audience in the coming weeks.